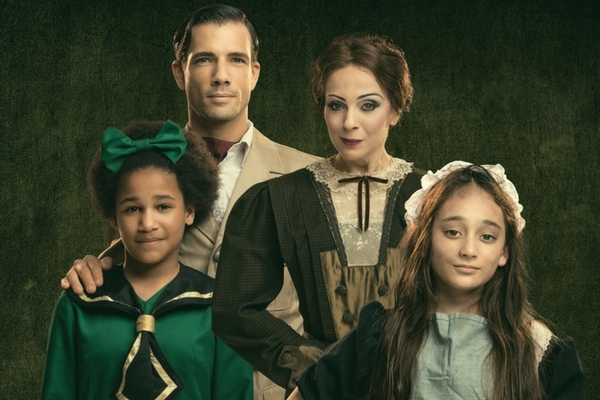 Olivier Award-winning performers Rebecca Trehearn & Adam J Bernard plus Alexia Khadime join the cast of the UK premiere of the musical A Little Princess by Tony-nominated composer/lyricist Andrew Lippa. Multi Olivier Award-winner and Tony Award nominee Arlene Phillips is directing the one-off semi-staged concert performance of the musical by Lippa (Big Fish, The Addams Family, The Wild Party), which also features the Royal Philharmonic Concert Orchestra, at Southbank Centre’s Royal Festival Hall on the Bank Holiday, Monday 28 May 2018. Joining the previously announced Sherlock & Mr Selfridge star Amanda Abbington in her musical debut as Miss Minchin and award-winning Sunset Boulevard leading man and Strictly’s Danny Mac as Captain Crewe are Olivier Award winners Rebecca Trehearn (Julie in Show Boat, City of Angels) who will play Miss Amelia and Adam J. Bernard (Jimmy Early in Dreamgirls) who will play Pasko. Alexia Khadime (Elphaba in Wicked star) will join the cast as Aljana. The ensemble includes Elias Hendricks, Joanna Goodwin, Landi Oshinowo, Mark Dugdale and Rosanna Hyland supported by the graduating students from Arts Educational. Thousands of youngsters auditioned for the 10 child star roles, and the successful girls are: Jasmine Sakyiama (in the title role of Sara Crewe), Jasmine Nituan (Becky), with Madeline Banbury, Delilah Bennett-Cardy, Sophie Beswick, Olivia Cowley, Tia Figgett, Andie Jordan, Agatha Meehan, Natasha Raphael, Kate Woodman.